In May 2018, Google has launched an app called Neighbourly. It is a Q&A app, where you or someone can ask questions and get answers from people living near you. It’s a location based Q&A app. Most of our life happens within 1 km radius of where you live. We can get answers to questions on google’s search engine as well, but if we want answers specific to the place that we live, then Neighbourly is the answer. You can ask local questions to your neighborhood based on your interests. Google has first launched the app in Mumbai, the financial capital of India. Then it released it for Jaipur. Later in September, it started rolling out the app in Ahmadabad, Coimbatore, Kota, Mysore, and Vizag. Now this November, the app has also reached the users of Bangalore and New Delhi. In a few weeks it will be rolled out to Chennai, Hyderabad, Pune, Kolkata, Chandigarh, Lucknow, Indore and other cities on the wait list. Google is rolling out this app based on the number of users on wait list. You can switch neighborhoods in the app. Like if you are at home then you get questions near to your home. And if you are at your office, then you can switch your profile and get answers based on that location. UPDATE: Neighbourly is now available in Hyderabad. I tried my hands on with the app. It is really very good with a clean interface. I tried posting a question and surprisingly I got the first answer within 20 minutes. Then I started getting more answers from users around me. Currently there are not many users who know about this app and the service doesn’t have enough users. Hence the app was letting users who are a little far from my location post their answers. But Google claims that nearly 1.5 million people have already downloaded the app and half a million people are on the wait list at the time of writing this post. Below is the screenshot of the question I posted and answers that I received. 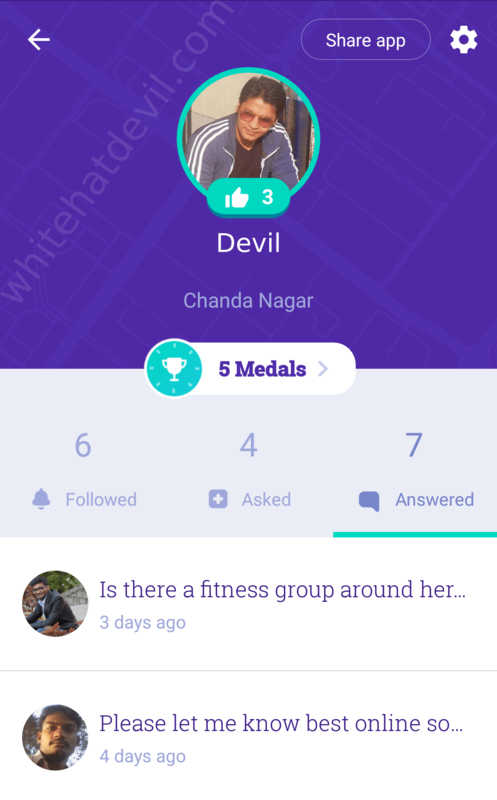 The Neighbourly also rewards with medals to those users who answer the questions. You also get rewarded if you post questions. These medals have tags like Trusted, Helpful, Speedy, Curious, Popular and Top neighbor. These medals help you find, how trustworthy a user’s answers are. Though the app is gradually enrolling, you can download the app from the Google Play Store from HERE. Once you downloaded, login and allow the app to access to your location. Based on your location, you will get questions from your neighborhood users and you can answer them. 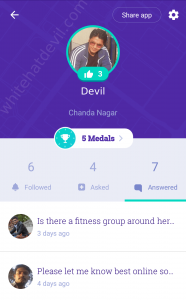 You can even post your questions related to your locality. If the app is not yet rolled out in your city, you can follow the second step and it will save your location and once app is released in that location, you will be notified. I found this app very interesting. Let us know your reviews about the app in comments. Google said that people are even asking questions from the source of a LPG gas smell to why are elephants on street. You may also expect questions like whose marriage is it or what function is it, if somebody is having a wedding function at their house in your colony. Isn’t it interesting? Hope you liked this post. If you found it helpful, please share it and like it on your social networks.